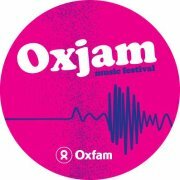 After a month off gigging we are back and doing our bit for charity this month. Firstly we are performing this Sunday (14th October) at the Dorchester Curiosity Centre. As it’s their 1st anniversary they are going to use their monthly Vintage Market to raise money for the Air Ambulance and Barnardos and have organised a cider bar, children’s entertainment and lots of stalls. We had the pleasure of playing at a Vintage Market here before the summer and had a great time. Do come along and support these two great causes, as well as picking yourself up a vintage bargain or two and enjoying our ukulele sounds. Although we have been quiet on the gig front this month, behind the scenes we have been wood shedding. We’ve been experimenting with new songs, styles and arrangements and we’re looking forward to trying some of them out in the next few months. The newbies include versions of songs by Tina Turner, The Darkness and Cat Empire to name a few. And we can’t wait to get some Christmas numbers on the go come December!! If you have any requests of songs you’d like us to cover, do get in touch. We always love to hear new ideas and try things out. We also hope to get some new videos recorded and up on our YouTube channel soon, so keep your eyes and ears peeled friends.